Travel and duty free store retailing needs to play to the emotions of a specific type of customer, with shops in this space needing to facilitate quick transactions and experiences that provide a suitable experience for holidaymakers and business travellers alike. Transact, upsell, and liaise with your customers using technology that seamlessly integrates point of sale, inventory management, logistics, click & collect (BOPIS), loyalty, and back office operations – which allows you to serve your customers how they want to be served. 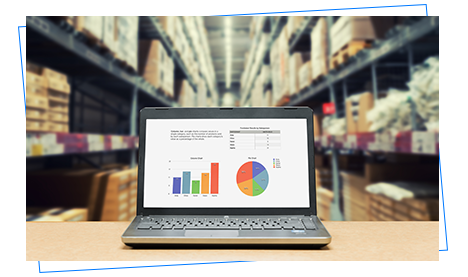 Track stock wherever it is in your business and use analytics software to help you run your company more efficiently. Let technology cater for day-to-day operations, so you can focus on delivering the experiences that matter for your customer base. Travel and duty free store retailers are all part of the trip for shoppers, and need to stand out for their fresh and flashy features or their ultra convenience – this can be supported by flexible retail management solutions such as mobile point of sale. 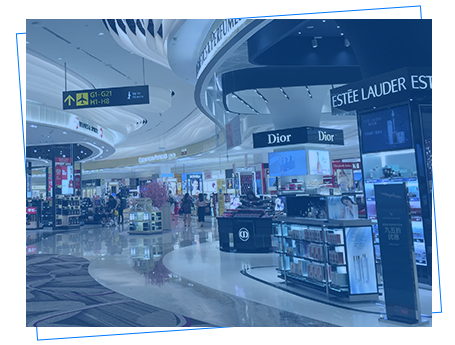 We work with travel and duty free store retailer, and have helped companies in these sectors from around the globe drive business success with our modular approach to technology. 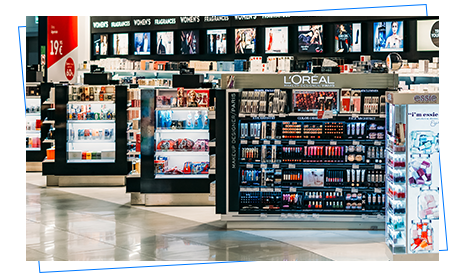 Travel retail and duty free stores must find a balance between convenience for the time-poor and compelling experiences for high dwell-time customers, so use iVend Retail’s replenishment planning solutions to get the right mix. Duty Free store retailing is unique in the way businesses can prepare operations based on a dedicated travel timetable – so retailers in this space require sophisticated sales forecasting systems and associated inventory management tools to stay relevant to their ever-changing audiences. 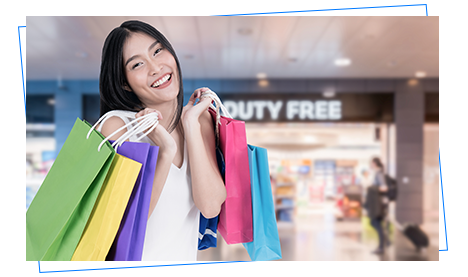 With travel and duty free store visits involving lots of free samples and demonstrations, complete the sale where your shopper is with mobile POS technology that reduces the need for queuing and helps conversions. 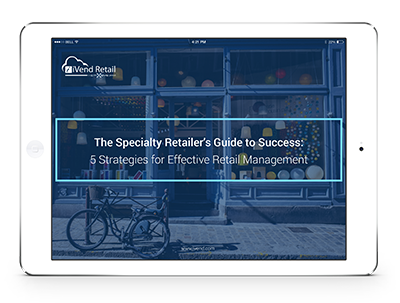 Discover ways to reinvigorate your retail management strategy to make your travel and duty free stores profitable even as the industry changes. iVend Retail is so much more than just a retail point of sale system. 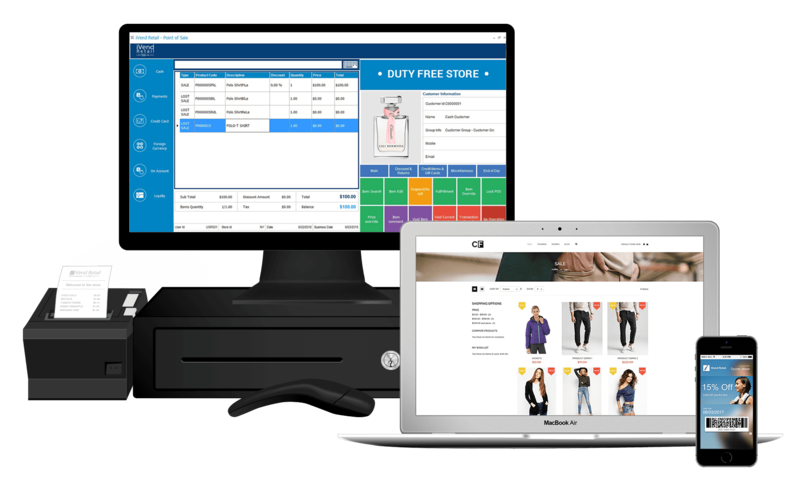 Everything you need to manage and grow your travel retail and duty free store business from mobility, digital marketing and loyalty, inventory management to advanced reporting and analytics is right at your fingertips. Spend less time on the day to day, and more time getting your customers through the tills as they arrive in or depart for pastures new. With growth plans for our airport stores, we believe that expanding our utilization of mobile technology and leveraging the omnichannel capabilities of the iVend Retail suite will help us to increase store foot traffic and connect with our existing and potential customers while on layovers. Take flight! Trial our technology in your travel retail or duty free store today.